What’s Good: Unleashing the issue of substance abuse in Punjab in quite a startling manner, Udta Punjab takes a gripping start. The stress on Punjab soon becoming another Mexico is quite validly portrayed. What’s Bad: The curse of the second half strikes for this film. Whatever engages you pre-interval, is outstretched into a fictional set up in the second half. Loo Break: Two druggies falling in love? Yeah! You need a loo break! Watch or Not? : After all the hue and cry over its release, Udta Punjab comes off as disappointing. 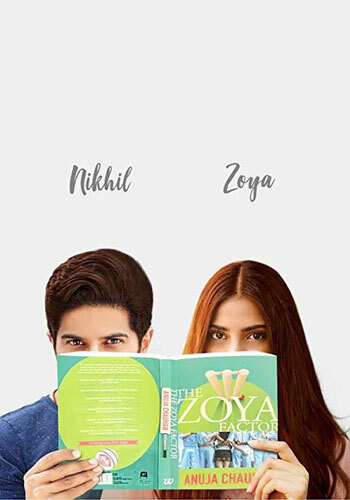 The film fails to give you a high, this ‘maal’ seems too ‘milavati’! Four lives in Punjab are dealing with the truth of substance abuse. 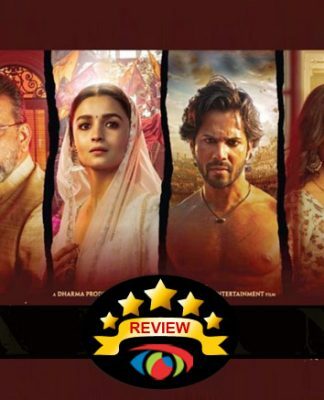 While Tommy Singh (Shahid Kapoor) is a fading superstar who needs cocaine for inspiration, Pinky (Alia Bhatt) is a Bihari immigrant who works as farm labour and mistakenly lands up with substance worth a huge sum. After failing at an attempt to sell the stash, Pinky is captured by local hooligans who supply drugs and also pull her into the addiction. Sartaj (Diljit) is a cop who works in the narcotics department. His fight against drugs takes off when his younger brother turns out to be an addict which forms as an eye-opener for him. Preet (Kareena Kapoor Khan) is a doctor who is struggling hard to keep her state clean from drugs by spreading awareness and helping addicts at the rehabilitation center. What happens when these four lives converge at crucial points in their life, is what lies ahead. Udta Punjab has been a burning issue since the last week. After Censor board came down from 89 cuts to 1, it seemed like a win win situation for the film fraternity but did that really affect the film a lot? 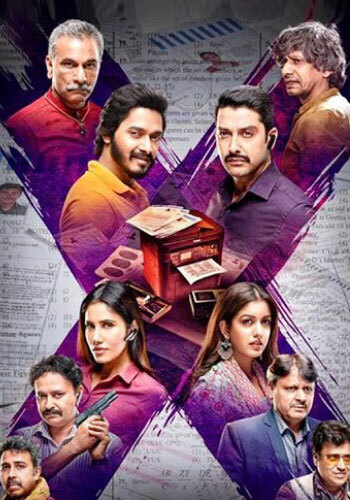 One would say that the language of the film which consists of the characters hurling cuss words at every possible junction and the Censor board keeping it as an amazing act but apart from that, the film’s release was more stressed on as to how it deals with a hard hitting subject. Abhishek Chaubey’s Punjab is completely different from what we have seen in YRF films. The ‘sarso ke khet’ are much scarier now as drugs are being transported through them. 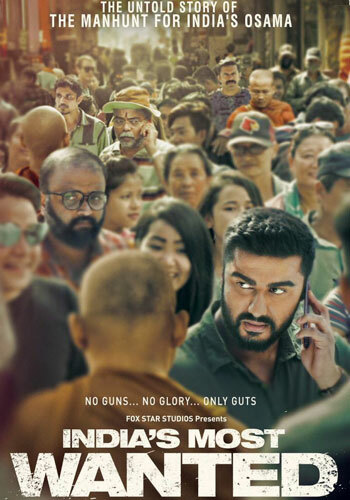 The film takes off on the right foot as it explores the state of the youth, especially teenagers who have succumbed to substance abuse thanks to false idols like Tommy Singh. In a startling manner, you see Sartaj’s younger brother buying bottles of a drug in 100 bucks which his brother gave him with a warning of ‘CCD gaya toh chapet padegi’. It is shocking how without any prescription, a teenager is allowed to buy such stuff. The gritty first half takes us through the grim nature of drugs, be it Tommy’s erratic behavior or Pinky’s instant addiction to it. Unfortunately, all this falls flat in the second half as love is in the air. Whilst trying to bust the drugs circuit in their state, Sartaj and Preet come close. If that was any less unnecessary, there is also Tommy’s weird obsession towards Pinky, after meeting whom he doesn’t feel like snorting cocaine and even comes up with a new song. Characters such as Tommy’s manager are left as loose ends in the story post interval. Character detailing is missing for Alia’s character and after a point, Tommy’s antics too seem absurd. What starts well, does not end well here! Shahid Kapoor gets the most glorified role in the film. The rockstar Tommy Singh aka Gabru is a cocaine addict. Kapoor managed to get a perfect look for his role but when it comes to the act, he kind of overdoes certain bits. Scenes where he is seen snorting stuff are done well but overall, Tommy’s antics seem quite forced than natural as an addict. Alia Bhatt does a decent job as the immigrant. She picks up the Bihari accent quite well and shines in the scene where she is being harassed by the men who hold her captive. Her hockey past is put quite hazily in the film and hence does not make much of an impact. Kareena Kapoor Khan as Doctor Preet gives a vanilla performance. She is expected to be slightly mature in certain scenes and that was felt missing. One does not feel like she owns the character with full might. Diljit Dosanjh makes his Bollywood debut with this film. He gives a measured performance as Sartaj. In the scene where he slams Gabru for tarnishing the youth with his drugs-propagating songs, he is very good. Satish Kaushik does a good job as Tayaji even with his little role. 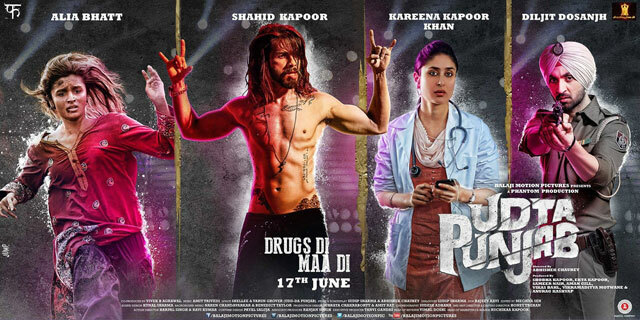 After Ishqiya and Dedh Ishqiya, director Abhishek Chaubey comes up with Udta Punjab. 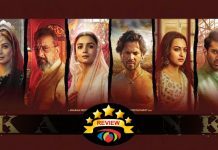 With a great topic at hand, one would have expected a cracker of a film that even fought with the Censor Board, but that does not happen. Sadly, in Bollywood filmmakers cannot come up with films that throw light on important incidents or issues. Udta Punjab could have been a la Spotlight had Chaubey managed to make the film a clean expose on the suffering state. In turn what we are served is a commercial version of a film with a highly realistic and alarming issue. 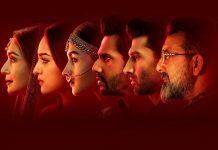 They say Punjab is on its way to become Mexico and soon will be run by drug lords but it seems the director’s focus does not move beyond making Tommy a Honey Singh lookalike and getting Alia a dark tan. Visually, scenes such as Alia’s trippy moment or Tommy’s bathroom high are certainly powerful enough. 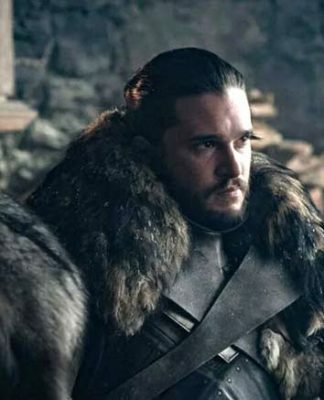 Defining moment in the film is certainly a scene in the second half where a young lad is sitting outside his rehab door after creating a horrific crime and grappling with the reality that it is his substance abuse that brought out this monster in him. Some of the most unwanted scenes remain, Preet and Sartaj’s night out after the latter has got himself drugged accidentally. Also, Tommy’s search for Pinky seems highly superficial and out of context especially since there is an non bailable warrant against him. Pace wise, the first half is agile and keeps you hooked to the bit. The second half slips poorly and even stretches badly towards the end. The climax comes as a huge let down. Music by Amit Trivedi is apt for the film’s setting and enjoyable enough. Alia Bhatt has a famous dialogue in the film, where she uses the cuss word ‘Ho gayi na ch*****pa’, and one could easily say that about the film. Udta Punjab does not manage to fly high with its content. I am going with a 2/5 for the film. Udta Punjab releases on 17th June, 2016. Share with us your experience of watching Udta Punjab. watched it in morning show, mainly due to controversy surrounding it and Anurag kashyap .Its the only movie of Mr. kashyap i didn’t liked too much. surprisingly Alia Bhatt acting is awesome in movie, shahid as Gabru is good with little over acting. Weakest part is Kareena kapoor acting and character which is filmsy. Mr. kashyap, please never align with Ekta kapoor, you are one of the best director of bollywood, in my honest opinion as Ekta kapoor is producer of the film, you were not allowed to direct in your original self. good movie !!! Surabhi Redkar k liye ye movie nehi hai….aap Dilwale dekho. Whenever i read your review post reading i say ok Lets go to the comment Tab & read how people screw the reviewer. Everytime you write a review and in comment tab you are getting trolled by people. Two druggies falling in love? Yeah! You need a loo break! One question, So druggies are not people once an addict always and addict right…..
Stupid Review !! Surbhi… take a chill pill and try to appreciate good movies !!! Just saw Udta Punjab. It is easily the best film of the year 2016. A must watch on big screen. 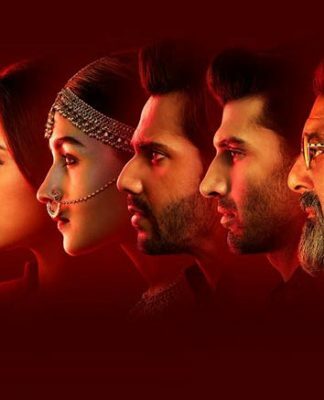 Alia Bhatt is easily the best actor in the film, closely followed by Shahid Kapoor. This is Alia Bhatt’s career best performance. Shahid Kapoor is awesome. Daljit is very good. Kareena Kapoor plays her part beautifully. Story is the king here. Issues of drugs are highlighted with complete honesty. A must watch for everyone. 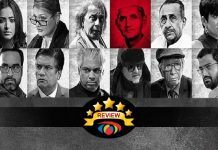 All critics are praising the movie and its characters, u Surabhi Redkar – is the only author which gives 2 stars. U think if u give the 2 stars it will make impact on the movie, It will never happen. Udta Punjab will rock. So you want to say there is no creativity in there dude – watch it again! Bad Review. its a much better movie. 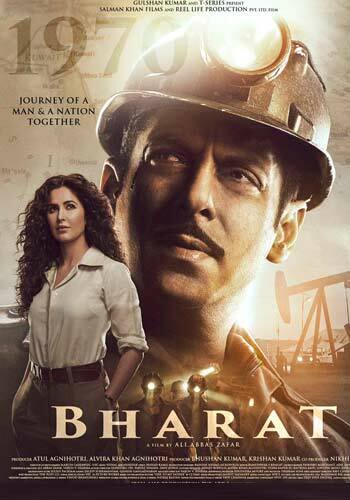 I dont know if you expected a ‘Requiem for a dream’, but this is a good movie and bad reviews only deters the possibility of similar high budget (with stars who can act ) realistic movies being made in India. I watched it and would say it is one of the best movies of 2016 so far. Go watch it and you will not be disappointed. I don’t know why reviewer gave it 2 stars, She might have some personal grudges against the movie crew. Surabhi ji u dont have a problem with an alien falling in love with human in p.k nd u have problem with two druggies falling in love? ?